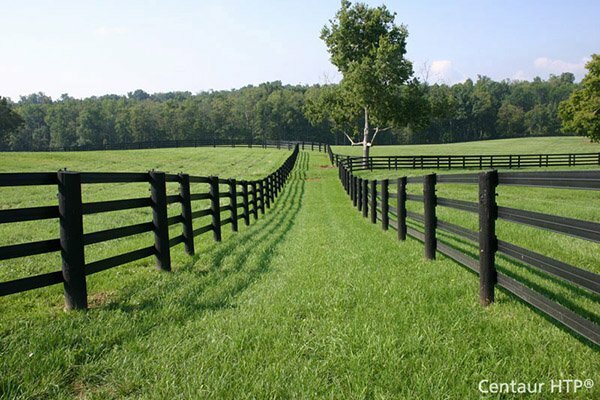 Superior Beechdale Vinyl Cladding - Smooth | Hoover Fence Co. Smooth Beechdale cladding is the perfect solution for finishing your wood porch supports. Made of 100% vinyl to last a lifetime. Four piece cladding is easily installed on existing porch posts. Matching trim is available, four piece cladding trim simply snaps together around the post after the cladding is installed. Cover your wooden porch posts with vinyl cladding and don't ever paint your posts again! Beechdale cladding installs around existing wood posts. Cladding fits dimensional lumber sizes 4x4, 6x6 and 8x8 (actual sizes of 3-1/2", 5-1/2" and 7-1/2" square respectively). Cladding is easily installed with stainless steel screws, not included (see installation instructions). Cladding trim available in matching colors (not included). Cladding trim is installed by snapping together around the finished post, no tools needed. Never needs painting, simple wash of with garden hose occasionally to maintain it's original appearance. Step 1: Put your wood post in place. Step 2: Cut the 4 cladding pieces to the length that needs to be covered. Step 3: Fasten each cladding piece with #4 x 1" Stainless Steel Screws (not provided) approximately 24" apart. You can only fasten one piece at a time. When you go to install the last piece, snap into place and face screw into wood post. 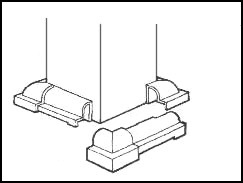 Step 4: If Trim Brackets are to be used, assemble in place around the top or bottom of post. No screws are necessary, brackets use "ratchet" type system that holds the pieces together.